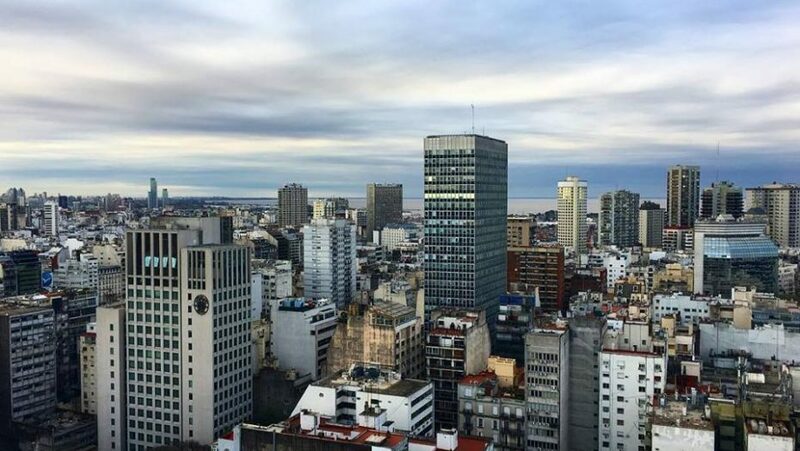 For the first time, we gathered open contracting reformers from very different cities around the world at the Open Cities Summit in Buenos Aires. And we just couldn’t get enough of the energy that these city champions brought to their hard work – navigating bureaucracies and politics and implementing new contracting solutions to build smart cities. We loved seeing how reformers from Buenos Aires, Mexico City, Asunción, Los Angeles, Nairobi and other cities connected over surprising similar challenges. At the heart of our conversation was the question “How can city governments deliver results for their residents through an open, effective and accountable contracting process?”. Contracting is critical in building a smart city with a vibrant business community, functioning city services, and satisfied residents. City governments contract out many of their most important public services to private companies or non-profits: waste collection, water management, public transportation maintenance, public schools and hospitals and many other services. How to use contracting strategically to solve cities’ key problems? Many of our city partners articulated the same pain point – procurement in their cities is driven by compliance and routine without performance goals in minds. They fall into the trap of re-issuing contracts that have no clear defined purpose to a small pool of underperforming vendors. This means that contracts fall short from the onset and quality of life for citizens can not improve. Two approaches can help change this – taking a problem driven approach to city contracting by having specific performance goals and engaging the community, both citizens and vendors, in defining these goals. Hanna Azameti of the Government Performance Lab at Harvard Kennedy School recently highlighted 8 strategies for cities to make the most of contracting and ensure it is driven by clear goals. The Sunlight Foundations also offers a guide to tactical data engagement to engage communities to create social impact from open data. How to use open data to improve citizens services? This story in Bogota is inspiring people around the world to implement the same kind of change. We told the Bogota story to the city of Philadelphia and now they want to work on food procurement in their city. How to use open data to flag vested interests in the contracting process? One other challenge that many cities shared was that often a few politically connected people seem to be benefiting the most from city contracts. Open data and open contracting can help expose such red flags. By putting information about government contracting out in the open for citizens and journalists to access, these vested interests between politicians and the business elite can be more easily found out. The organization Poder is leading an effort in Mexico with the wiki Who’s Who, an open data, open source platform that visualizes links between the owners of the companies that are winning contracts in Latin America. Poder tracks these companies, corporate elites, and government decision makers, and uses that information to call for more accountability. One of the projects where this has been evident is Mexico City’s new international airport, a mega project and the largest investment of the country in this decade. Poder used the available open procurement data to develop Torre de Control showing that 200 contracts lead back to the same 12 individuals. How to use open data to engage and manage vendors? In addition to signaling new opportunities to vendor, information and data about contract implementation can also be used to improve vendor performance. For example, in Los Angeles, the city delivers gang reduction and youth development services. There are a limited number of local providers that have the knowledge and capacity to contract with the City to fulfill those services. To address the inconsistency in results among service providers across the city, officials developed a performance evaluation report to better track service providers’ performance and make course corrections if necessary. These reports provide concrete metrics to discuss the vendors’ achievements. And, if the vendor runs into trouble, they work together to fix it. This is an exciting example of how cities can more actively manage the work their contractors are performing, and work in better partnership with service providers. Our session at the Open City Summit was just the beginning of how we are planning to support more and more city champions in the their quests to build smart cities through open contracting. We have seen that integrating open contracting into larger city change process can save money and time, deliver better goods and services, engage more and more diverse vendors or flag political linkages and corruption risks. We are excited to continue working with city champions in Mexico City, Bogota, LA, Philadelphia and many other cities to encourage the use of open contracting. Open contracting doesn’t solve all issues in every city but it can help build smarter cities and better serviced citizens.